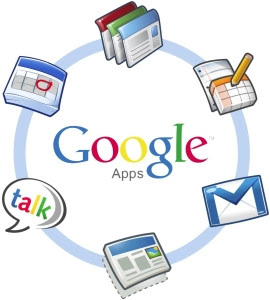 Till now we always need to be online when we want to check out our mails and documents on our mail and from today or within some days Google starting work offline while you do not have internet connection,you will be capable to check your mails and documents using Google's Chrome browser. Gmail is finally going offline. Google is rolling out a Google Gears version of Gmail that will be available to users starting today in Gmail Labs. From your inbox, Click the gear icon in the upper-right and select Mail settings at the top of the Gmail page. Select the 'Offline' tab in your Gmail Settings and select the 'Enable Offline Mail for this computer' radio button. Adjust any other offline settings on the 'Offline' tab before installing Offline. Click Save changes. You'll see a prompt from Gears to start downloading your messages onto your computer. If you don't have Gears installed, Gmail will help you install it (you can also download it here if you have the correct system requirements). You may need to restart your browser1 after installing Gears. If you already have Gears installed (for example, to use Google Docs offline), you won't need to install it again, but you'll be prompted to allow permission for Gmail to access Gears. Click the allow link. Your messages will be downloaded to your computer. Depending on the size of your account, this may take a while the first time, but you can check on your progress in the status box near the Settings link under the Gear icon. Note:- Offline Gmail works only on Microsoft Internet Explorer versions 7.0, 8.0 and Mozilla Firefox versions 3.0 to 3.6.